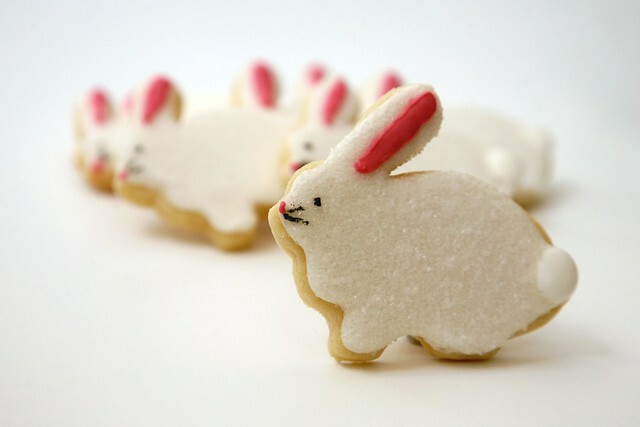 Easter Sugar Cookies... and, Oh Yeah, I'm an Aunt Now! 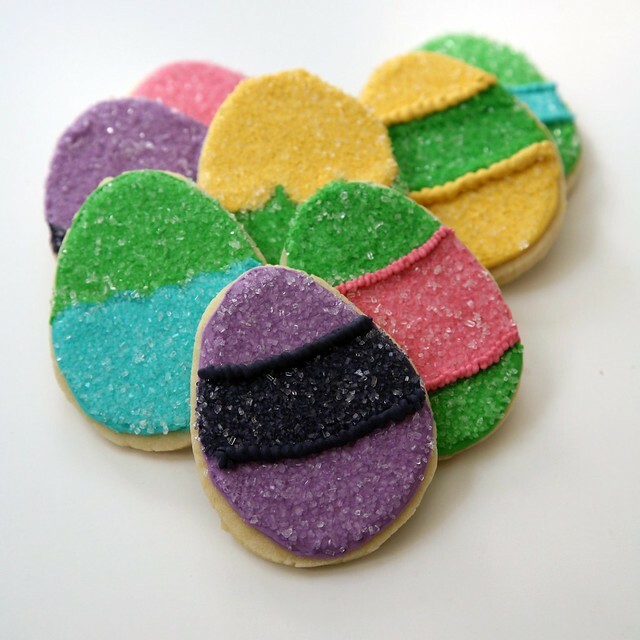 Maria ordered 40 sugar cookies to bring to an Easter Egg Hunt and to give out to friends for Easter, which is just around the corner now! 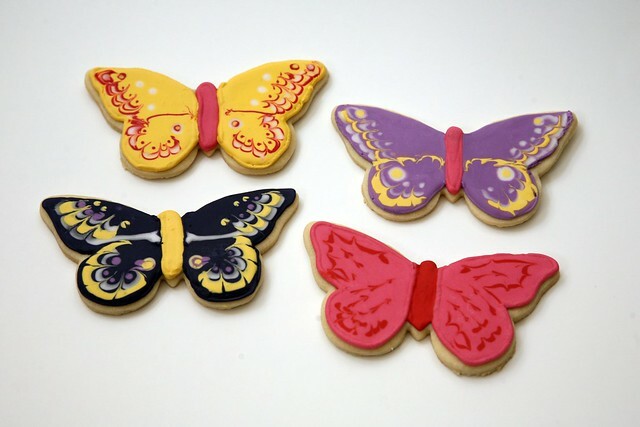 I made an assortment of cookies including bunnies, eggs, butterflies (for Spring), and little square cookies. I was digging a brighter color palate rather than pastels, which Maria and her girls were completely on board with! I saw these adorable Easter Egg Cookies from an Etsy Shop called "Whipped Bakeshop" and was inspired to try my hand at these fun sparkly eggs. Then I just had fun with the rest once the creative spark had been lit. I forget how much you can do with just a plain old square cookie too. 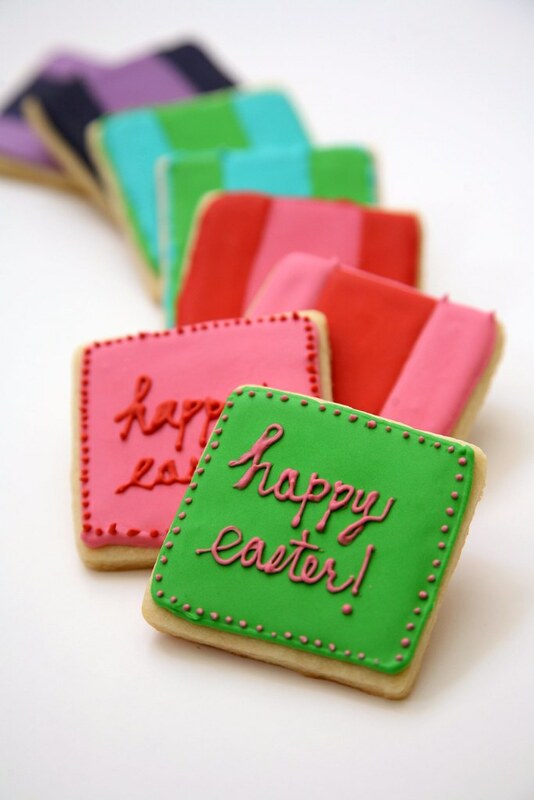 I made little "happy easter" message cookies to match the stripe cookies. 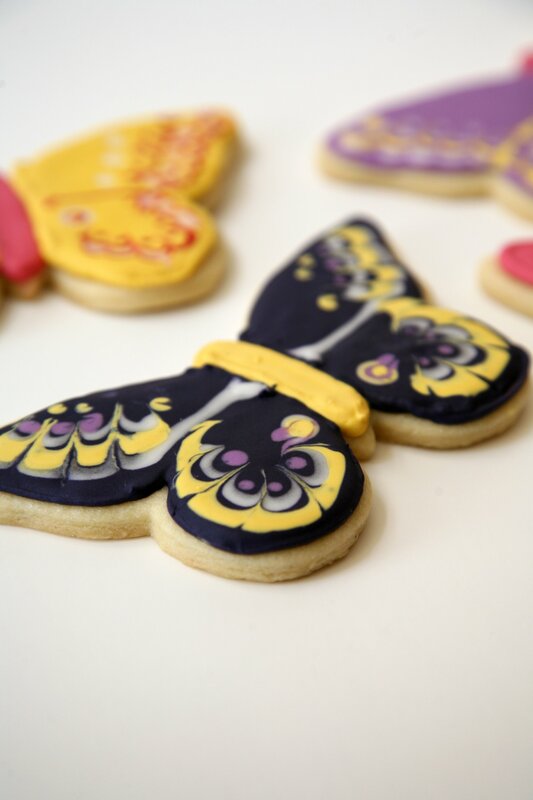 I did a couple of these butterfly cookies, which were really fun to do. My favorite is the eggplant one (although it almost looks navy blue) with the yellow, white, and lavender. I love the color combo and the details came out just the way I wanted them too. The little bunnies were pretty cute too. I did white/clear sparkling sugar with white royal icing. Minimal food coloring, maximum cuteness. It's so fluffy I'm gonna die! Maria also asked for a few "nut free" ones so I made a little bit of royal icing without any of the almond extract I usually put in my royal icing and just used vanilla and a hint of lemon instead. 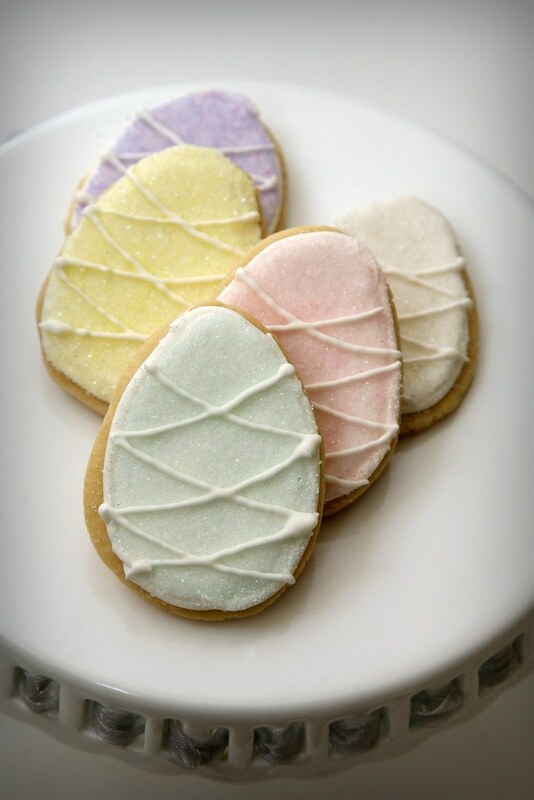 I decorated these eggs with pastel sparkling sugars to set them apart from the rest. I guess I got some pastels in the group after all! It's funny, I look at these pictures and I'm trying to remember some quips and anecdotes about the making of the cookies that I can share with you... but all I can remember when I look at the pictures is a happy, warm feeling from the day I was decorating them, April 15th, because that's the day my sweet little niece, April Elizabeth, was born. I am so overcome with joy for my sister, Lauren, and my brother in law, Brendan. Also, for myself. I have been waiting for Lauren to get pregnant since the day she got married. I can't wait to meet April in person. In the meantime... I oosha-boo-boo at the pictures and think about her at least 15 times throughout the day and am filled with happiness. Georgia helped me announce the news on Facebook. She may or may not be indifferent on the whole situation at this point in time. 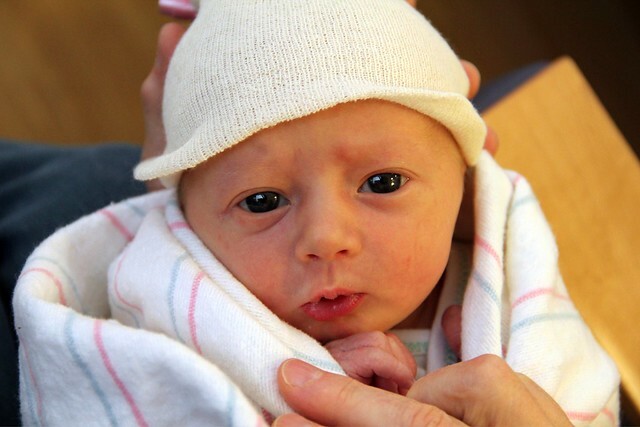 How adorable is this little one? The lips! The eyes. I'm smitten. These photos are day 2. Here's the whole family (awwww, they are a family!!) 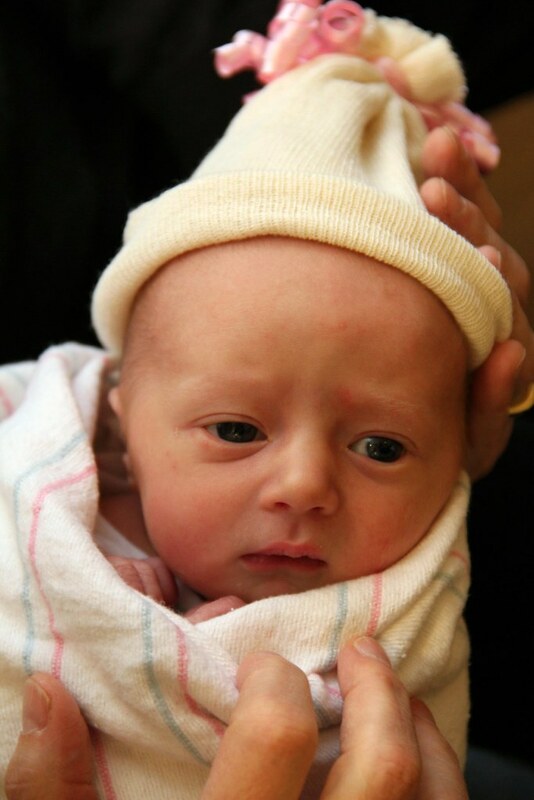 and all the first-time grandparents there for support & diaper doody. I mean duty. 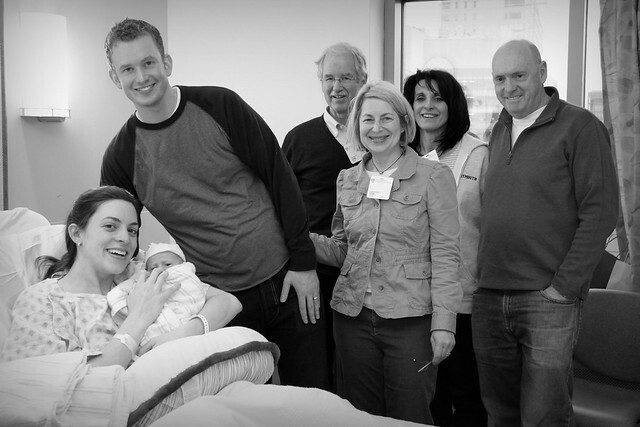 I'll be flying to Boston on April 29th and staying with Brendan & Lauren to help out for a whole month! 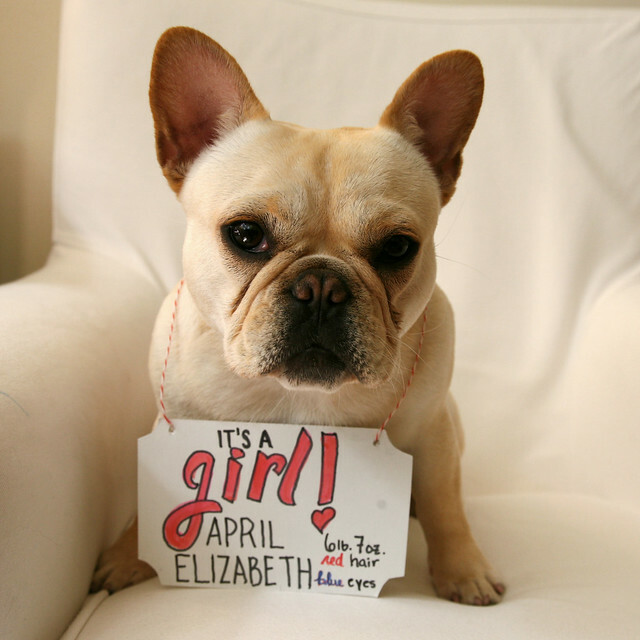 I'm so so excited and I'm pretty sure I will be posting many photos and stories about April from now on. The question is: can you people handle all this cuteness??! April, I'm just gonna put this out there now... you better have a sweet tooth like your dad. Don't ever count calories. Yes, I'll make your wedding cake. No, I don't need to be a bridesmaid. Oh, stop it! I don't look that young. You know what, look, you can make your own decisions. Ok, fine. We'll talk. Next week. We can sort this all out. Love youuuuu, byeeeee.